The University of Saskatchewan helped change her life and Hannah St. Denis-Katz is now more determined than ever to help change the lives of others. 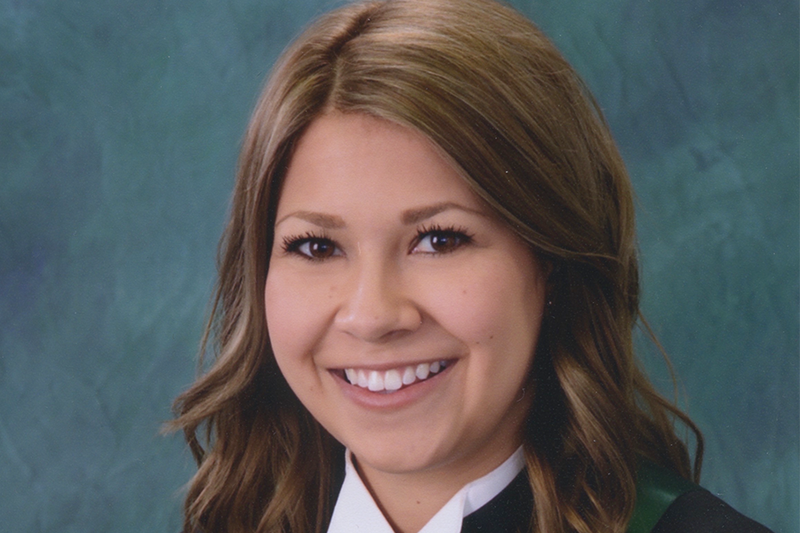 The 23-year-old from Saskatoon became the first in her family and the first from her First Nations community of Beardy’s and Okemasis to earn a medical degree when she graduated with a Doctor of Medicine on the final day of U of S Spring Convocation Thursday at TCU Place. Only 23 MD graduates in the country are accepted into residency programs in plastic surgery each year, making it one of the most competitive programs in Canada. It did not take long for St. Denis-Katz to realize that was the particular medical field that she wanted to specialize in. While the vast majority of plastic surgeons are based out of large urban centres, St. Denis-Katz does hope to help provide support for Aboriginal and rural communities as well in the future. St. Denis-Katz has quickly become a role model in the local Aboriginal community, one of 10 of this year’s 89 MD graduates in the College of Medicine who are First Nations, Métis or Inuit students. This year’s 10 Aboriginal MDs (accounting for 11.2 per cent of the total class) are among 394 self-declared Aboriginal students who graduated from the U of S this spring, the largest class of First Nation, Métis and Inuit students in university history. In total, there has been a 53.5 per cent increase in Aboriginal graduates at U of S Spring Convocation over the past five years, with this year’s group part of the 3,422 students who made up the second-largest graduation class in school history. They now join a family of close to 150,000 U of S alumni world-wide.